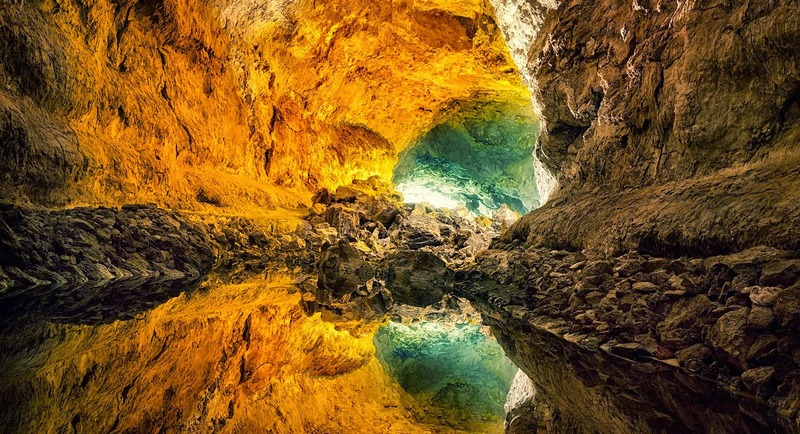 Cueva de los Verdes also called “Verdes Cave” is a lava tube and a popular tourist attraction of the Haria municipality on the island of Lanzarote in the Canary Islands Spain. 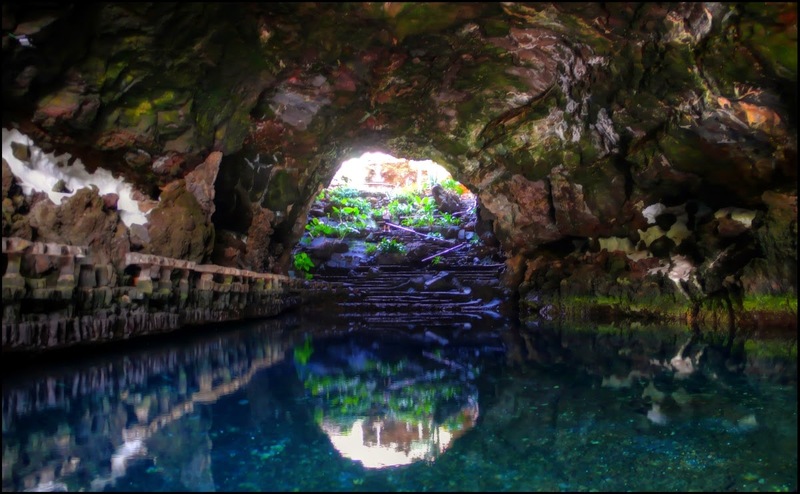 It is protected area of Canary Island, and it lies within the Monumento Natural del Malpaís de La Corona. 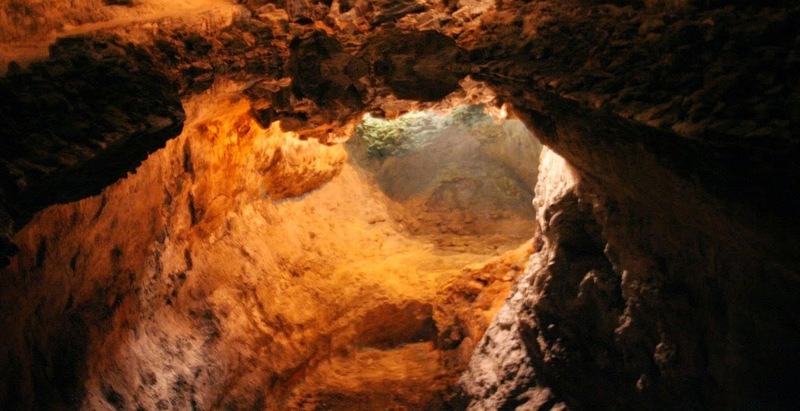 It is estimated, that cave was created somewhere 3,000 years ago by heavy lave flows erupted from the nearby volcano Monte Corona flowing across the Malpaís de la Corona toward the sea. 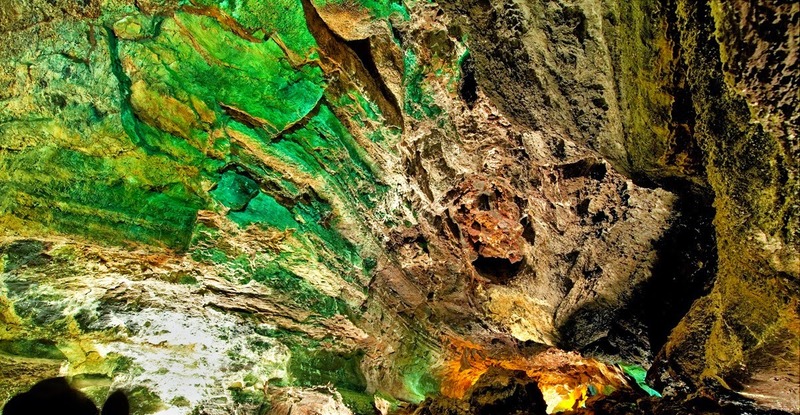 The Caves are not named after the color “Green”, but rather a family whose surname was Verde (Green), although the Caves are really colorful, particularly since they’ve been carefully and thoughtfully artificially lit for the public. 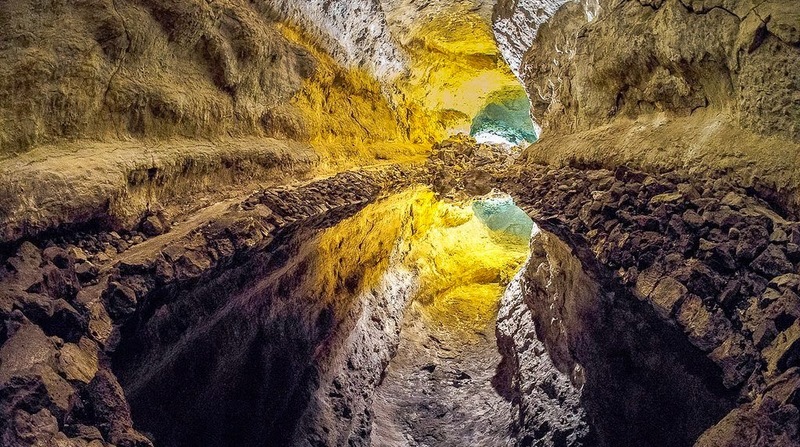 It is suggested that the caves are definitely worth a visit and if the molten wax-like rock isn't adequate to impress you, the secret of Cueva de los Verdes will be. The flow of lava streams cooled on top, emerging a solid crust, before the lava drained away leaving the top part as the roof of a cave. 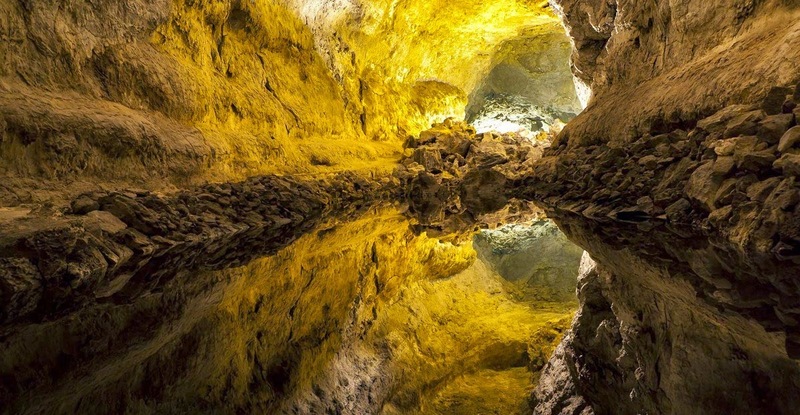 There is actually a chamber within the tunnel which is known as “The Refuge”, because it was so often used for shelter. Almost on 20 spots, the cave roof was collapsed, developing a cavern recognized locally as a jameo. 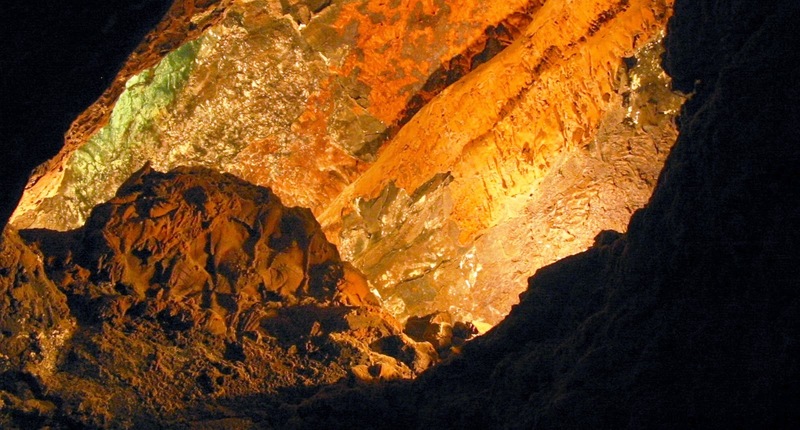 The cave is about 6 kilometers above sea level and for another 1.5 kilometers below the sea. 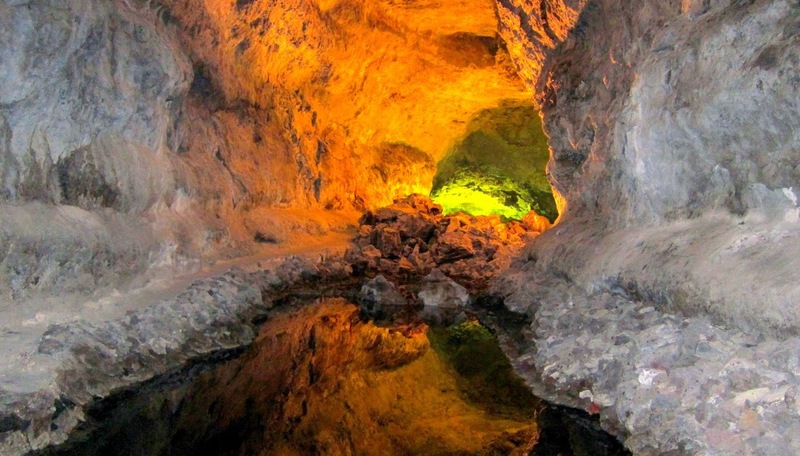 Moreover one jameo forms the entrance to the Cueva de los Verdes and two kilometers of the cave system were developed for tourists in the 1960s, with the cave walls illuminated by colorful lights. 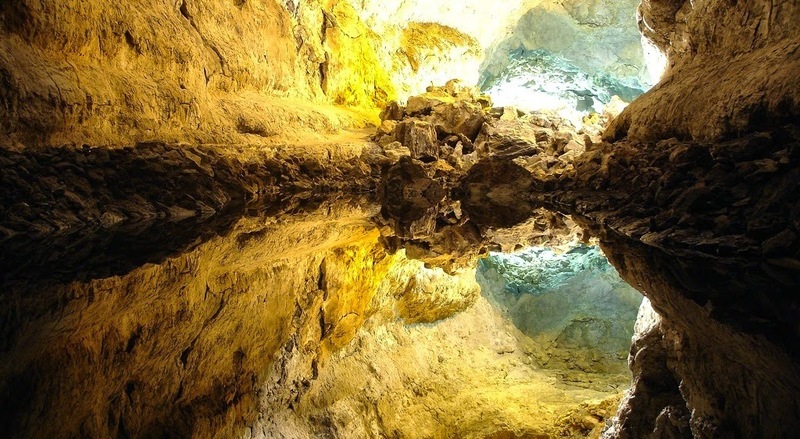 The beautiful cave is also famed for its concert hall which is situated closes the entrance and exit of the cave. The concert hall has about 15 to 20 rows with 26 seats in each row, allowing up to 500 people in the concert hall at once. 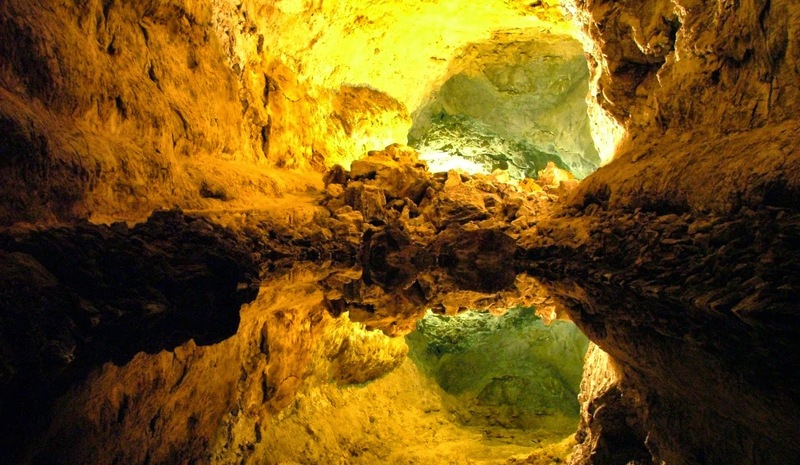 The inhabitants of earlier centuries throughout Lanzarote hid in this cave to protect themselves from European pirates. 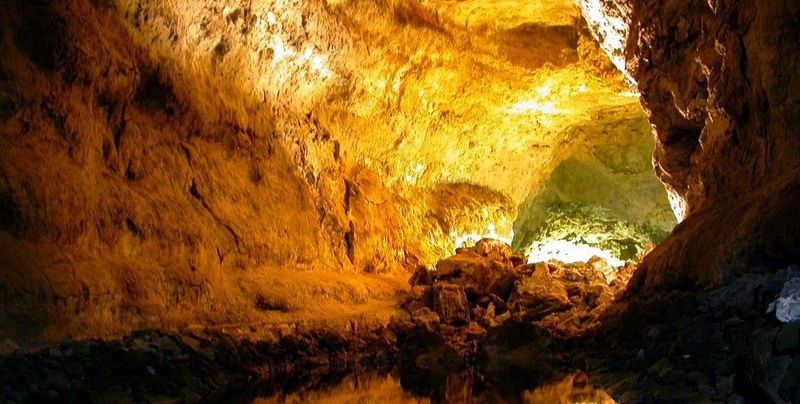 It is absolutely a site worth visiting, the beauty of the caves is astonishing and it is undoubtedly one of the most interesting volcanic structures on the island. 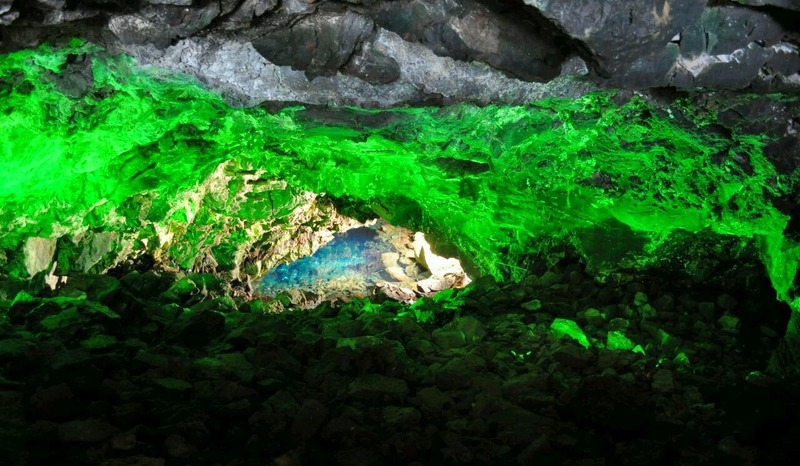 However it is a big cave which is lit for effect rather than visibility and some people may find it claustrophobic. 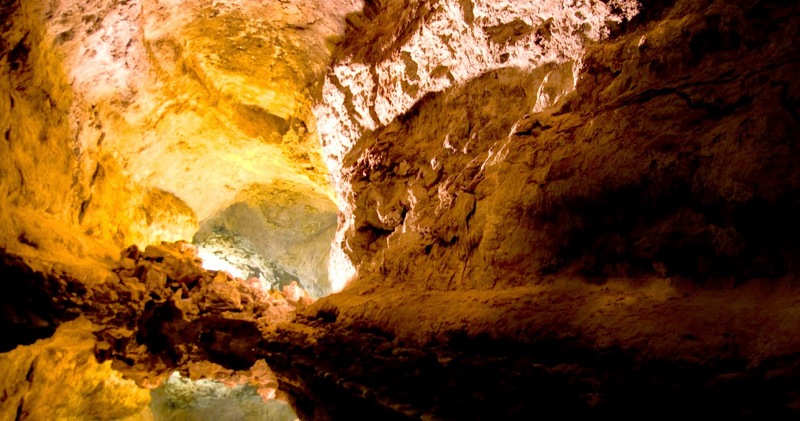 So if caves and underground places really don't turn you on, you would probably be better visiting the Mirador del Rio. 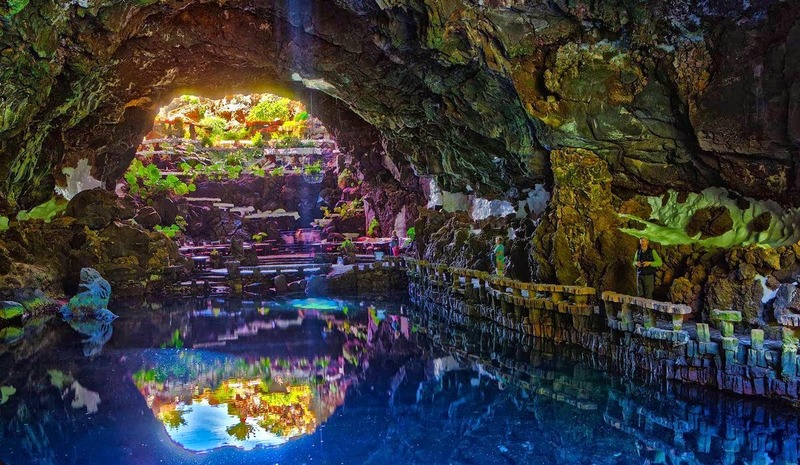 As there aren't a lot of facilities at the Green Cave, you really want to combine it with a visit to the nearby Jameos del Agua. Not like various tourist attractions, it is hard to tell that there has been any human intervention in the cave structure. 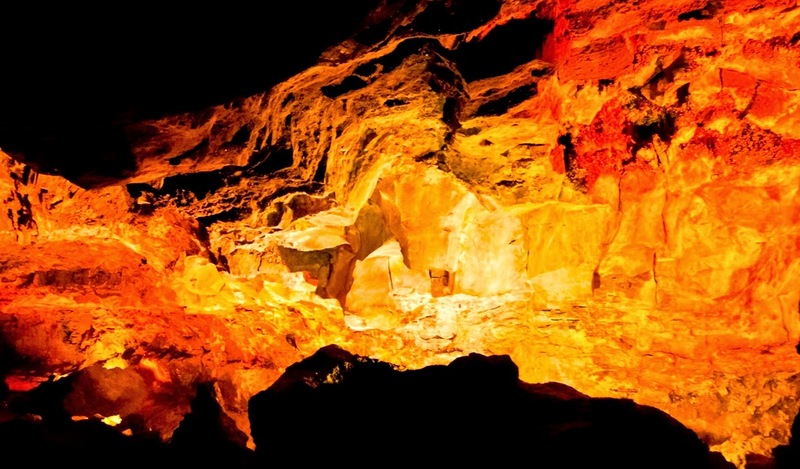 Although the main work has gone into a splendid lighting system which highlights the walls of the cave amazingly well. 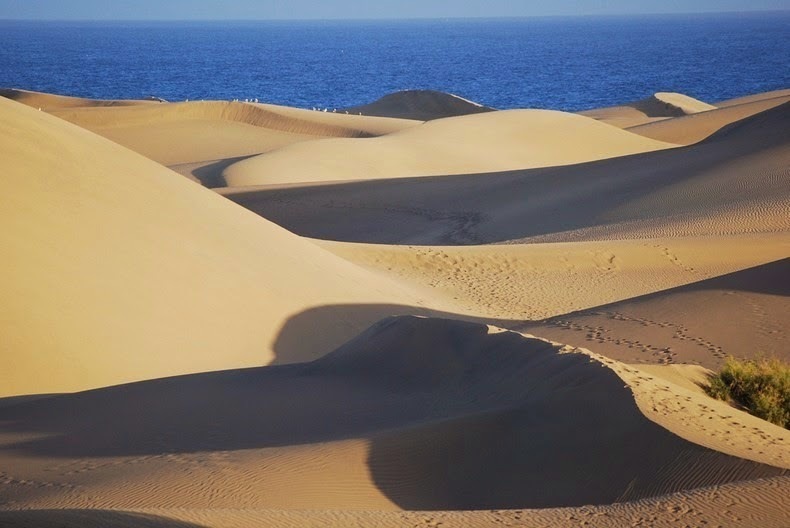 The remarkable Dunes of Maspalomas is a four square km field of sand; well located in the popular tourist town of Maspalomas in the south of the island of Gran Canaria of Canary Islands. 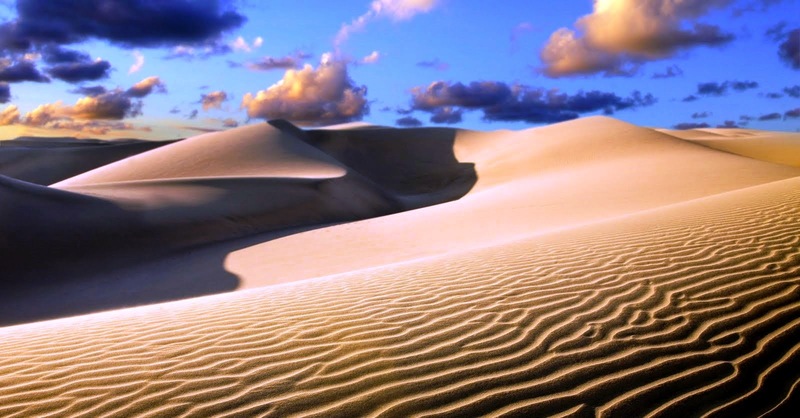 The sand originated from coral reefs crushed into reasonable golden grains of limestone by the grinding action of glaciers approximately more than thousands of years ago. The present ocean dragged them to the shore and ultimately wind accumulated them into dunes. 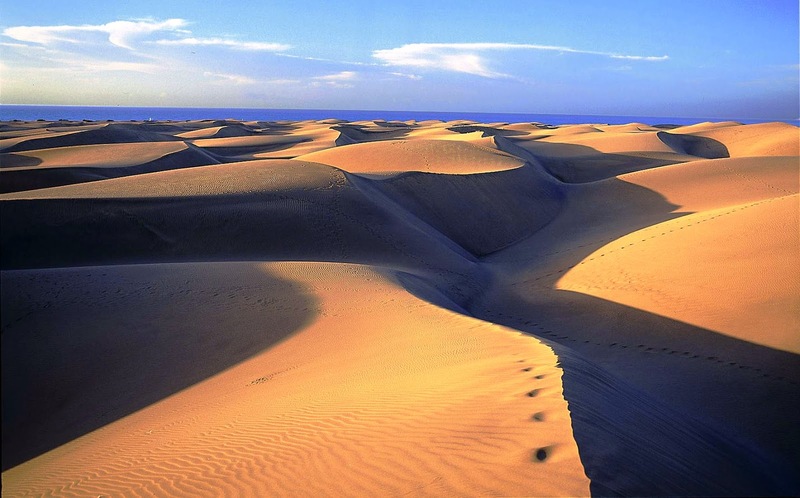 The sand is blown inland from the beach and amasses around the shrubs, recognized as balancon that dots the landscape. 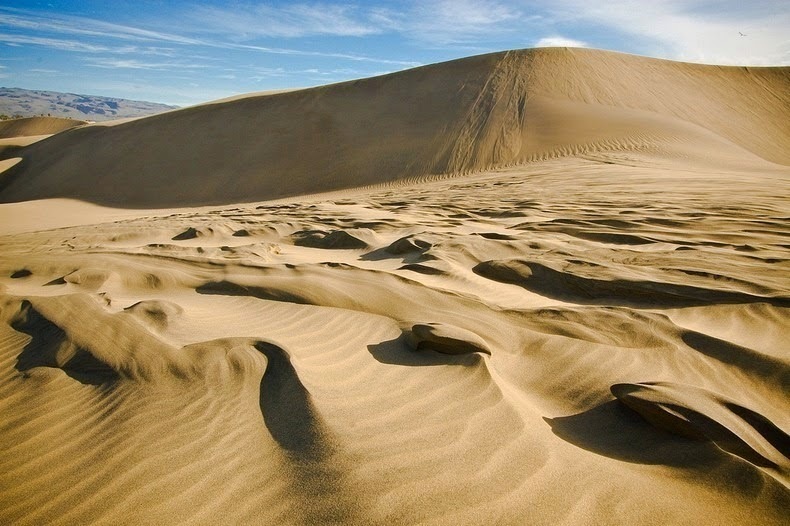 Once the gathered sand grows larger than its protective shrub, it starts to move across the dune field and so creating the fabulous, undulating landscape. 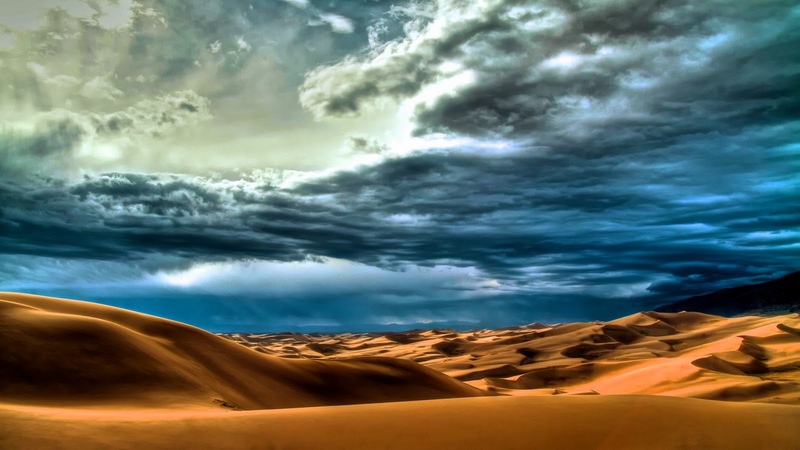 These days the dunes are moving at the rate of two to five meters from east to west. Therefore the area has declared a Natural Reserve in 1987. From the heart of the dunes the stunning views of the island's mountainous interior are terrific and the adjacent hustle and bustle in the neighboring resorts is all but forgotten. 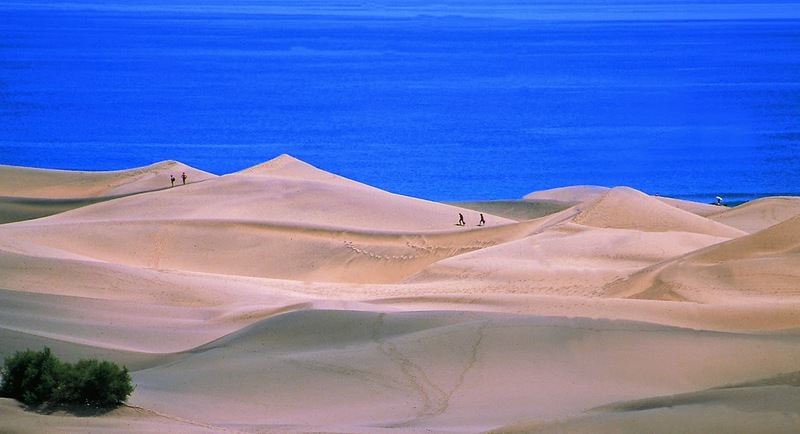 Few secluded areas of the dunes are widespread with naturists. If you'd rather not stumble over the dunes on foot, there’re opportunities to see the sights them from the comfort of a camel's back. 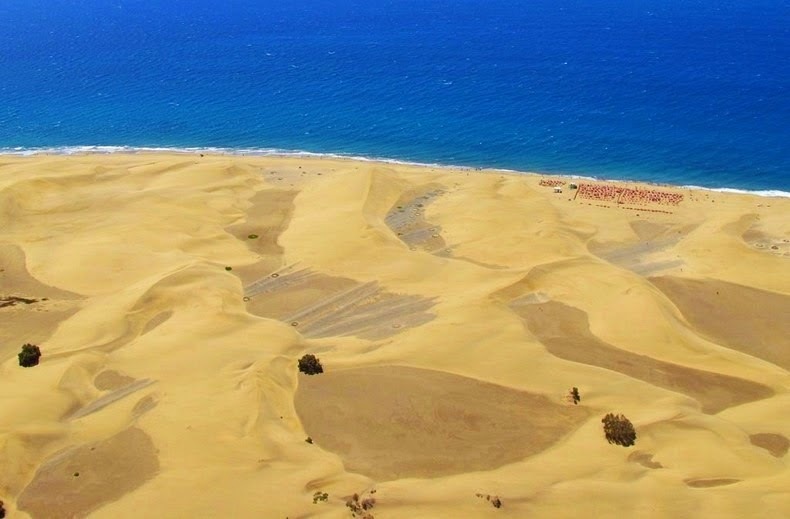 Just a little further on from the Maspalomas Palm Tree plantation (Palmeral) is another protected natural space “La Charca”, a beautiful pond which lies between the sea and the sand, providing a relaxing spot for birds migrating from Europe to Africa. 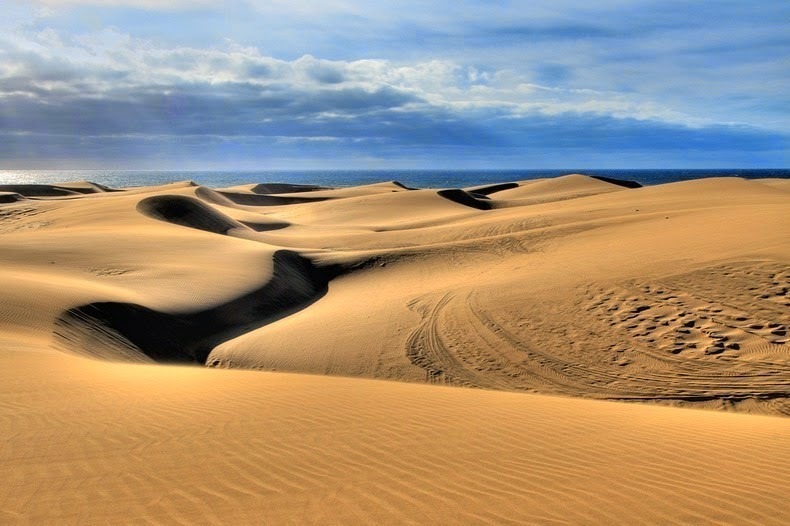 The massive expanse of sand dunes start beyond this “pond”, varying their shape frequently, chiseled out by the wind coming off the ocean. 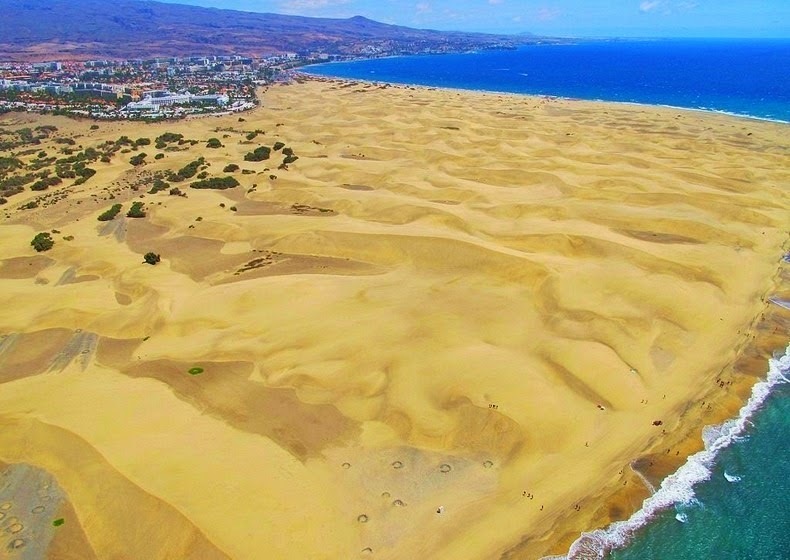 In 1861 there was a decision made to build the lighthouse which actually took 28 long years to finish, the 68 m tall lighthouse, called “El Faro de Maspalomas”, at the southern point from where the 12 kilometers long beach and dunes lead to the resort Playa del Inglés, a popular destination of tourist. This is deserves a place on every visitor's itinerary. These days everything around it has changed. Now it is at the start of an eventful promenade area with a whole host of restaurants and gift shops. 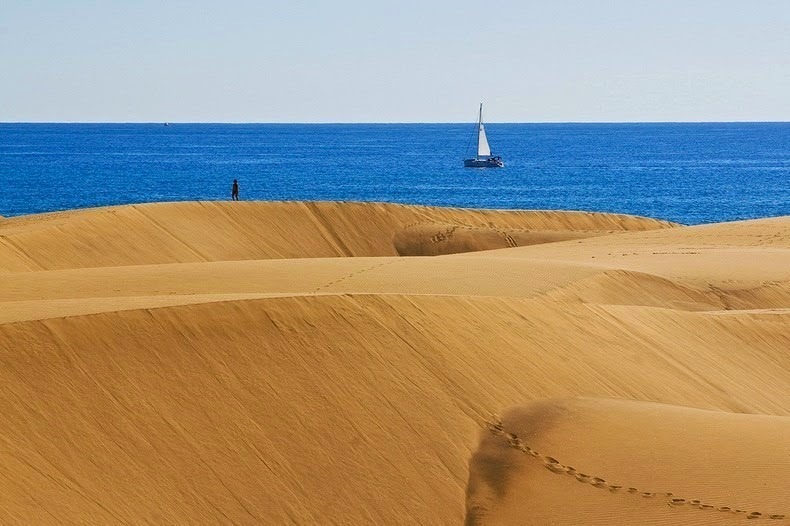 However; Maspalomas continues to be the perfect place to unwind, enjoy the sea or simply while away the hours sunbathing. This hasn’t changed, and neither has the long shadow of the Lighthouse, in the same place as ever. 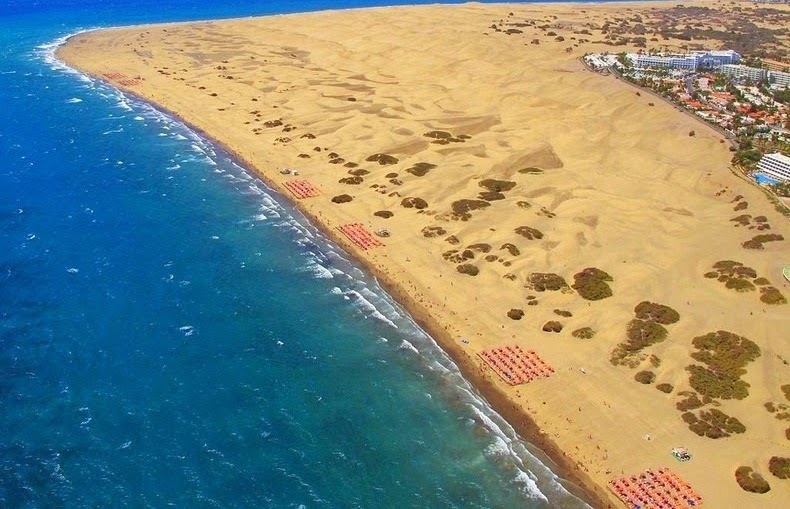 Whereas before it looked out for boats crossing the Atlantic, it now envies beach-goers spending their days under the gentle sun in Maspalomas.